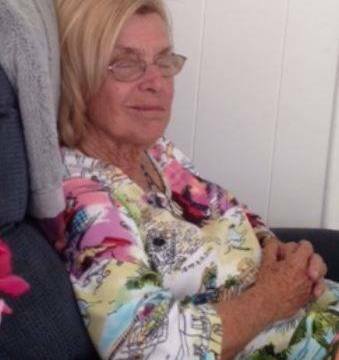 Authorities searched for a third day Monday for a 75-year-old woman with Alzheimer’s disease who went missing from the Pinezanita RV Park and Campgrounds in Julian. Sally Estabrook was last seen around 4 p.m. Saturday at the 26.5-acre campground in the 4400 block of state Route 79, north of Harrison Park Road, according to the San Diego County Sheriff’s Department. She apparently walked off while her husband was showering, and he called the sheriff’s department to report her missing shortly before 5 p.m.
A sheriff’s department search and rescue team combed the area Saturday evening, and continued to do so on Sunday with no success. Estabrook is white, 5 feet 4 and 145 pounds with shoulder-length blonde hair. 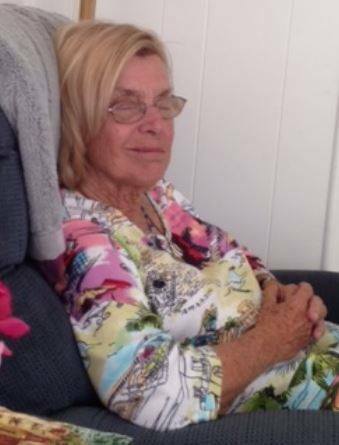 She may be wearing a teal top and white knee-length pants. Sheriff’s officials said she is not very communicative but may respond to her name. Anyone who spots Estabrook is asked to call 911 or the sheriff’s department at (858) 565-5200.